This is post 11 of 31 for the Blaugust event. To check out more Blaugust posts and sign up to participate, visit the Blaugust Nook! 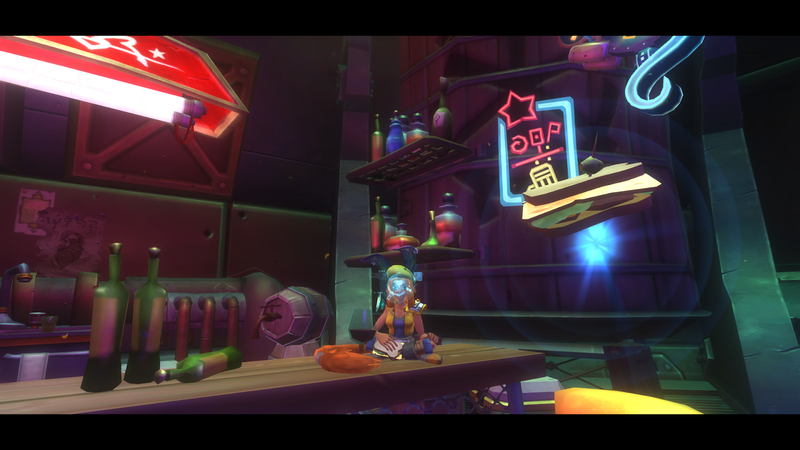 I spent a good chunk of time in WildStar on live, yesterday. Did some dailies, piddled around in Thayd doing some challenges for Tarnished Tint boxes (there are dyes I need, damnit! ), and ran a bunch of stuff (including Shiphands!) with Gracie and chatted with her in TeamSpeak, which was tons of fun. One of the things we ended up chatting about for a bit was the lack of vitality on Live, at the moment, which she and Bel also discussed in the most recent Aggrochat. BDS is a fairly active guild, but even we’re seeing a decline of logins on Live except for raid nights–and it’s really depressing, in a way. I know there are so many people stoked for changes coming with FTP, but at the same time, there’s just not enough folks on. Drop 5 had a lot of content, but people seem to have hit a dry spell with it. I know I’m more motivated to play than I ever have been. And I still have lots of things I can work towards on Live. But it seems the general populous of WildStar have hit a period of malaise. Syl wrote a post today questioning on whether F2P is the right move for WildStar, and if it will end up saving the game. I do think that it is the right move for the game. And I hope, from the reactions I’ve seen, that it will end up saving the game. I’m hoping that WildStar ends up being the “new” LOTR when it comes to the F2P success stories. The game has an extremely dedicated staff and community. I just hope those who haven’t been bitten by the bug in the past few weeks still stay as interested when F2P rolls around.